Length With 2-Wheel Kit: 41.9 in. Height With 2-Wheel Kit: 29.2 in. Width With 2-Wheel Kit: 27.2 in. 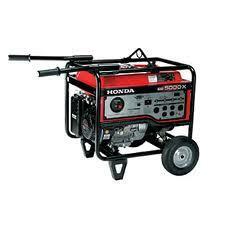 * Please call us for any questions on our generator 5000 watt 37.5a 120 portable rentals in Eden Prairie Minnesota, Bloomington, Chanhassen, Minnetonka and surrounding Twin Cities communities.